tiny & Tall: Gleipnir is now on Kickstarter! The video game adaptation of the graphic novel Gleipnir can now be backed and supported. The rewards range from the usual respectful nod & name in the credits to delirious riches, such as having one's likeness and personality included in the game as a PNJ. There's also some reasonable stuff, such as art prints and a .pdf artbook. The game is a point and click adventure inspired by the LucasArt classics. 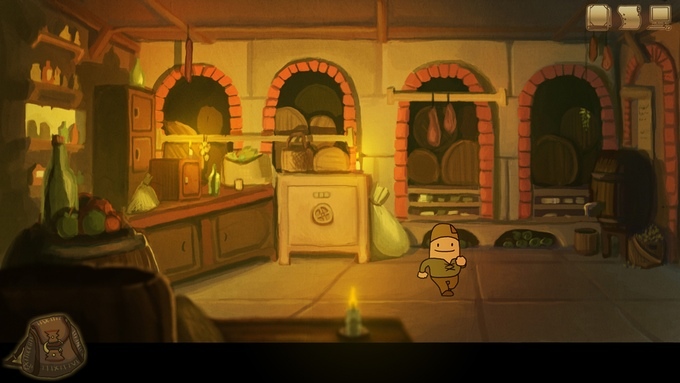 It is drawn in traditional 2D style, mixing cartoonish characters and painted backgrounds. The Kickstarter page features new screenshots, gifs from the game and a link to the playable alpha version. 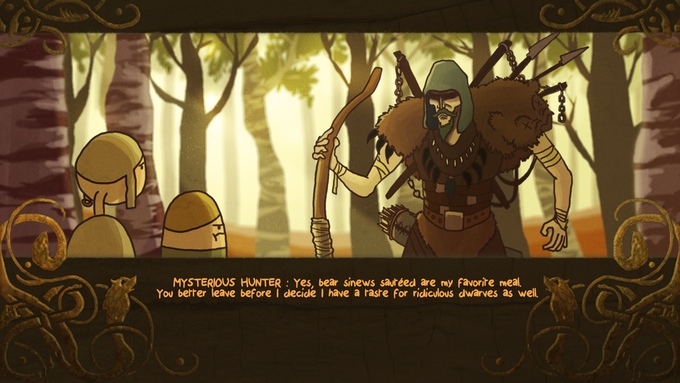 The independent point'n'click adventure game tiny & Tall : Gleipnir now has a trailer. Download the very first alpha demo for the upcoming adventure game!